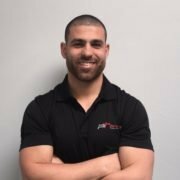 At Physique Transformations, our team has been carefully curated by Joe Murphy. We pride ourselves on our professionalism, knowledge and passion for all things health and fitness. We aim for 100% satisfied clients. So if you’re not entirely happy with your training session – let us know. You’ll get that training session, and your next one, free of charge. Hi my name is Joe Murphy, and this is my story. I just wasn’t sporty, or athletic, or fast, or big or strong. I was tall but extremely thin, weak and slow. My dreams of being anything more than just a spectator were just that, dreams. Until I saw Rocky that is. It was Rocky 2 to be precise. During the school holidays my mum (yes mum, it’s all your fault!) took me to the video store (back when there were video stores) and I hired Rocky 2. I was hooked. Here was someone who had what you call ‘heart’ and trained his guts out and achieved something beyond his wildest dreams.The next day I went back to the video store and hired the rest of the Rocky films and started my own journey. I began to copy everything I saw him do, and so began writing out my first programs at the age of 15. I started to beg and borrow books, magazines and anything I could find to get information on how to train. Keep in mind this was before the age of the internet. Weights, running, boxing, interval training and pushups. Lots and lots of pushups. Then came the eating, twice what everyone my age was eating.And wouldn’t you know it. I went from playing 15 minutes a game on the wing, to playing the full game in the middle as a rangy back rower. My first trial game after my summer training was memorable. I made 2 or 3 strong runs, including one where I beat 4 or 5 players and scored a try. The feeling was unbelievable. Wow. So this is what it feels like. I had never experienced anything like it in my life. Within that year I earned the most improved award in the rugby league team, the best and fairest in the touch football team, made the athletic team and was captain of the cross country team. This was when I learned what work can do. If you work, and work hard, you can transform your body, your mind and achieve things that you thought were impossible. My journey only skyrocketed from there. I realised that you didn’t have to be the most talented person out there. You had to be the one who trained the hardest, wanted it the most and that it counted if you were the last man standing running the sand hills. That became me. I transformed myself. I’ve been a personal trainer now for 13 years. It seemed the only logical choice for me to give the gift of what exercise can do, to as many people as possible. In my spare time (what’s that?!) I can be found playing with my kids (I have 3), going to the cinemas, watching the Dragons play and spending time with my wife Joan. Oh and training, I love training! From the age of 5 I started playing my all time favourite sport, Rugby League. My passion for the sport is beyond words and was truly blessed to be able to play for some talented and successful teams. United in Bundy Cup. Being told by numerous coaches that I needed to “put on size” I took a year off and went on a challenging but rewarding journey. Following a traditional strength training regime and eating 6 meals a day (thanks mum!) I gained 10 kilos. I returned to football stronger than ever, but unfortunately after injuring my shoulder 3 times in a season, I had no choice but to hang up the boots. My passion for the game will always be there and this is what drove me to become a Personal Trainer and to learning my trade under Joe Murphy. I want to be able to share the knowledge and experiences I gained with as many people as possible, and assist them in achieving their goals. In my spare time I can be found playing in a local Oz Tag Competition, training in the Gym and watching my team, the Parramatta Eels play the greatest game of all. Always having a strong passion for sports from a young age, this has driven me to a career in personal training and an active lifestyle. As soon as I could start walking as a kid, I grew to love sports. My love for sports has seen me play a wide variety including soccer, athletics, futsal, AFL, touch football, oz tag, cricket, karate and kickboxing. My family has been a big push for me as from a young age my parents signed me up for soccer, futsal and athletics. By competing in these sports my whole life, I grew to be talented and passionate as I played reps for Futsal as well as NSW and also competed in a number of events at state for athletics. Even with these sports I was motivated to go further and venture out to different sports. This is where my passion for martial arts began. My father was heavily involved in Karate and kickboxing while I was a kid and by watching and learning I decided I wanted to do it. Through 8+ years of martial arts I now am a black belt in both kickboxing and karate. With this passion for sport, I have realised the benefits of exercise and how it can change a persons life. This is what led to me becoming a personal trainer as I want to share my experiences, enthusiasm and motivation with others. My goal in life is to make people feel good about themselves by feeling confident and comfortable in their own skins and being able to motivate someone, push them and transform their lives. 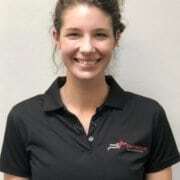 Currently I am finishing my degree in ‘Bachelor of Sport and Exercise Science at Western Sydney University with plans of undertaking my Masters degree in Strength and Conditioning. I have found that by studying this degree it has given me the best knowledge and confidence to make a difference and achieve the best results for clients. I have always had a passion for sport and keeping fit, this all started from as young as my primary school years. I often found my self being very competitive, accepting nothing but the best and being the best. 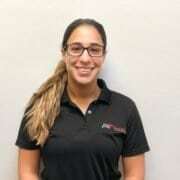 I have played in multiple sports including: touch football, soccer, dance, softball, cross-country and athletics. But mostly I still continue my passion for playing soccer, going onto my 9th year. Now that I am currently at University studying Sport Science I came to the realization the full benefits of exercise and how it can change people’s lives. It was this that truly fired my passion for helping others reach their full potential and making many positives and gains in their life. As said before I am currently studying a ‘Bachelor of Exercise & Sports Science’ at the Australian Catholic University. It is through completing this course that provided me with the tools to aid others who have set a goal for themselves but do not know how to achieve it for themselves. Going through my own weight loss & mindset journey over a decade ago I believe I can relate to the many thoughts & emotions one can go through upon the start of a new lifestyle adaptation. I know all the excuses in the book, heck I’ve told them to myself! Coming from a corporate advertising background as a TV editor for 12 years I understand how busy, yet sedentary life can get and the affects this can have on the mind and body. Helping my friends and family achieve movement goals on a monthly basis left me more fulfilled than any new video on TV ever could. Which led me down the study path to take my passion to another level and help as many people as I can. I thrive on teaching people new ways of moving, getting stronger and gaining more control of their own body! When I’m not teaching others you’ll find me in an indoor rock climbing scenario, teaching my pet rabbit tricks, channeling my inner child down in the park learning new movement habits or creating content videos to inspire others to get out and live the life they dream! My name is Antoinette, I am a mother of a beautiful girl. I love to be outdoors and make every moment of the day count. I have been a social butterfly all of my life which means I love people and will give them my all. Balance in life is hugely important to me, in exercise and enjoying all types of foods and time with my daughter. After years of corporate work, I joined the fitness industry to help people make a long term life style change and enjoy it every step of the way. 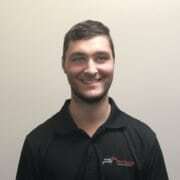 Now working at Physique Transformations, I utilise my corporate experience by working in the office 3 days a week, and then doing my Personal Training as well. I have always been someone to go after adventure, which explains why I am so far from my home country (America). Having to survive and adapt in Australia has transformed me to look at fitness in the same way but also understand how to enjoy life rather than just get through it. My passion is to help unlock your inner warrior or calm yogi inside. I want to challenge you and for you to be the best person that can allow the concept of being healthy inspire you and cause you to go after big dreams and goals. I tend to have both extremes in me when I train to learn to be a fighter to live the best life but also to learn as much as I can and enjoy the little moments. 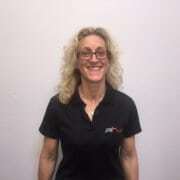 With years of experience in the clinical massage industry and working alongside chiropractors, Duncan has assisted all kinds of clients, sportspersons, clients recovering from surgery, general injuries and workers with repetitive strain injuries. 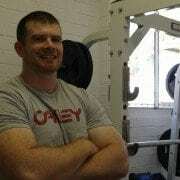 He specialises in Sports and Remedial Massage, including deep tissue, trigger point therapy, and myofascial release. With a philosophy of “Do The Best I Can”, he is easy to approach and friendly. Duncan is a therapist who is passionate about the health benefits of massage. His passion was ignited in 2009 when he received Remedial Massage for his neck, shoulder and lower back injuries that he had developed through repetitive work and exercise. 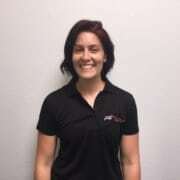 Inspired by the results, Duncan began to train and work as a massage therapist in 2011. Since then, He has completed professional qualifications and continue to extend his expertise through different practices, seminars and workshops. registered private health fund providers. For most funds, we offer on the spot claims with HICAPS. To contact Duncan his email is contact.us@duncandolchai.com.au or call 0425021144. 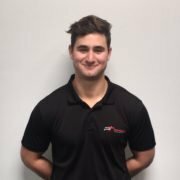 If you want to train with Physique Transformations and the best personal trainers Sydney has to offer, please give us a call on 0431 589 153, or contact us.